In the last year we've seen many bind & fly quads from Diatone in all shapes and sizes. With each iteration they have tried to home in on the perfect setup. Today we take a look at the GT-R349 to see how it performs. The GT-R349 is the 3" variant in Diatone's latest design of quadcopters that builds on the R90 series. Supposedly the R stood for Rabbit but Diatone most likely dropped this as it sounds a little silly! What's new for this year is the HD options which kit the quads out with the RunCam Split. For these models they add HD to the end of the model name. For the first time we also get the option to ditch the Unify Pro and choose a cheaper RunCam VTX. 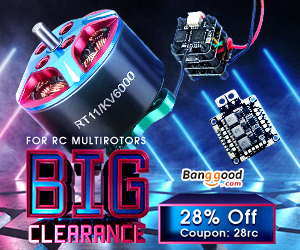 This might be great for people looking to save some money but one of the highlights of the Diatone series is was the class leading VTX included for a great price. The model we are reviewing is the standard R349 with the RunCam TX200U. Luckily the VTX despite not being a Unify still features smart audio so it isn't too much of a downgrade unless you are looking to go long range. If you are then I would suggest getting the version with the 800mw Unify. The R series features an all new design with a injection moulded (feels like Nylon) canopy. Unique moulded plastic parts normally are a cause for concern on quads as they break easily and are tough to replace. I'm pleased to report that the canopy on this one is thick, strong and so far has appeared unbreakable. The canopy holds your choice of camera. Ours had the RunCam Micro Swift which is an excellent CCD camera, I was pleased to see that they didn't replace it with a cheap copy. As a bonus it seems they are getting them in a unique green colour scheme. The main electronics are Diatone's own Mini Mamba Stack which comprises of an F4 based FC and a 25amp Dshot 600 capable ESC. The components have been slightly tweaked with an extra capacitor but essentially this is the same proven electronics Diatone have been using for the last year or so. Like the FC the motors are special Diatone branded Mamba motors. They are a 1408 size wound at 4000kv and have a high quality look and feel to them. In the past Diatone has gone overboard with kv and produced some models that are fast but not great on the lower end or on the battery. This kv on a 3" feels a lot better and more of a middle ground. I would suspect they used Sunnysky to make the motors as they have previously but it's hard to actually tell. Out of the box is similar for most Diatone models. The packaging is nice and upon opening the box you a greeted with the quad itself. Underneath the next layer you will find your props, a few cables and spares and the instructions. An optional buzzer on a ready to use PCB is also included. The setup was a little tricky, not impossible by any means but tough for a beginner. The reason for this is that Diatone do not include a receiver with the quad. I'm not sure why that is as they now offer VTX and camera selections so a receiver would not be hard. The problem is that Diatone pack everything into a really tight package that makes it really hard for the user to physically fit a receiver in the quad. I went for an XSR as I had one spare but would recommend (assuming you are a FrSky user) an R-XSR or an XM+. The reason for this is that they are small and should match the cable Diatone provide. In my case I had to adjust the wiring order in the connector and then solder the telemetry wire to one of the most awkwardly placed pads I have ever seen. In terms of fitting it in I had to remove the little plastic spacer include which meant I had to play with the stack bolts. I don't know what Diatone were thinking but the stack is made up of a combination of different sized spacers and o-rings that were incredibly fiddly and had to go back in the right order. My advice is don't touch the stack, it’s a real pain to work on! Diatone also include a buzzer on a separate PCB to make connecting it easy. Connecting it is great however I suspect they don't install if for you due to the fact it doesn't really fit anywhere! You can cram it in between the stack and camera but this limits the amount you can tilt the camera and is a bit of a bodge. After about an hour and a half I had the receiver installed and working. To put things into perspective I can build a complete quad in less time than this! Overall Diatone models look neat and compact but I do feel that they leave the dirty work to the user and aren’t quite as perfect by the time you are finished with them! Betaflight setup was at least straight forward however for some reason the PID loop was set to 2khz. The F4 processor on board is cable of running at 8khz so I adjusted that and set up my arming and flight modes. Flight controller: Mamba F405 mini; MPU6000; AT7456 OSD; 16M flash; 5V 1A BEC. The good news is that once you get through the setup ordeal the flight performance is excellent. I first tested it on some 3s 550mah packs around my parents garden over Xmas. The quad was great to fly and easy to control. What I liked was that despite being light it had a weighty feel to it in the air allowing me to pull off split s, power loop and dive maneuvers just like a bigger quad. This may sound strange to some but I actually preferred this quad on 3s as opposed to 4s. It didn't have the raw power but it felt more manoeuvrable and more flyable in terms of acro performance. I found 4s to be very twitchy and required a large area to fly whereas the 3s could be flown in a relatively small back garden with more control. That said 3s around a race track was slow and 4s would be my go to for anyone after outright speed. On another note I found small 4s packs to be far more expensive than the 3s equivalent and price wise they were almost on par with my full size 1500mah packs. This makes me personally lean more towards 3s as my pack of choice for this quad. I used GNB 3s packs and CNHL Ministar 4s packs for my testing which both performed great for midrange packs. For a performance model like this a good quality battery is essential as a cheaper one will not be able to deliver the raw power this quad demands. I was using the smaller sized batteries and was getting 2.5mins of flight time and would suggest slightly larger packs if want a little more. To put it in to perspective I have quite an aggressive flight style and anything that lasts over 2 minutes for me is good! I would expect to see 3.5-4min flight times when flown at a more casual pace. The tune seemed OK, not super tight but not awful. There were no signs of oscillation or propwash but with a few tweaks you may be able to get a little more out of it. Motor temperatures were low which was nice to see on a smaller quad. I think I would recommend this quads to anyone who is comfortable flying a regular 5" quad but is looking for something smaller or more discrete. The 3" size is a lot less intimidating than the 5" and can be flown in smaller places whilst having just as much fun. Of all the 3" models I've tried this one offers the best performance in nearly every way. Unless you plan to build your own this would be my recommendation. Having the 3s and 4s options allows you to get more performance as you get more comfortable with the quad and gives you a choice dependent on your environment. I would suggest you try a couple of each to see which you prefer before shelling out for a load of batteries. I generally wouldn't recommend this class of quad to a beginner as they are insanely fast for their size generally making them quite twitchy to control. One of the downsides to the smaller sized quads is that they are much easier to loose in the grass. If you have the basics down with a Tinywhoop but don't quite have the space for a 5" this could be a great option.